Hey there, Midwestern types! 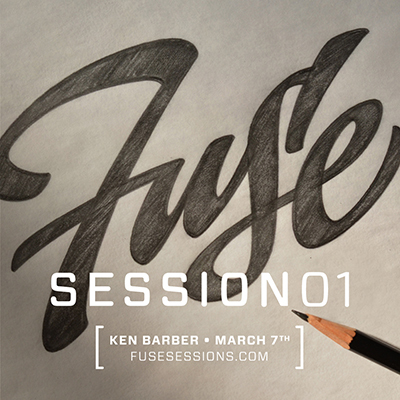 Here’s your chance to bone up on the basics of script lettering during the inaugural [fuse] SESSIONS workshop in Indianapolis next month. Whether you’re a beginner or an old pro, I’ll be covering it all: from foundational hands to informal styles. So sign up, swing by, and brush-up on your script drawing skills.